Sometimes it’s next to impossible to get data out of an Apple app. It’s our data; we should be able to do what we want with it. My partner sent me a message last week asking how she could share a Reminders list with a few people. She was in a different part of the country, planning an event, and she needed several people involved in the event to see the task list she had drafted. She uses an iPhone and an iPad, and assumed that Reminders would be the best tool to create a task list. She could then mark each task as completed as she progressed with the preparation of the event, and see what was left to do. And she could share the list again, as time went on, so others could see which tasks remained. Since most of the people who needed to see this list don’t use iOS devices, she couldn’t find a way to share it. I had never thought about this. Sure, you can share a Reminders list with another iOS user (when that feature works; more on that below), but what do you do when you need to share it with someone who uses an Android or Windows phone? It turns out that there is no way to do this. 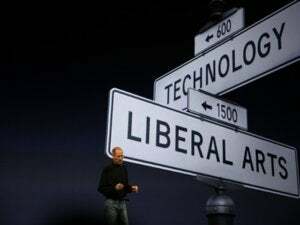 I understand that Apple wants to keep people in its ecosystem, but not everyone collaborates with only iOS users. Apple’s Reminders is a data silo; you can put data into it, but you can’t get it out. 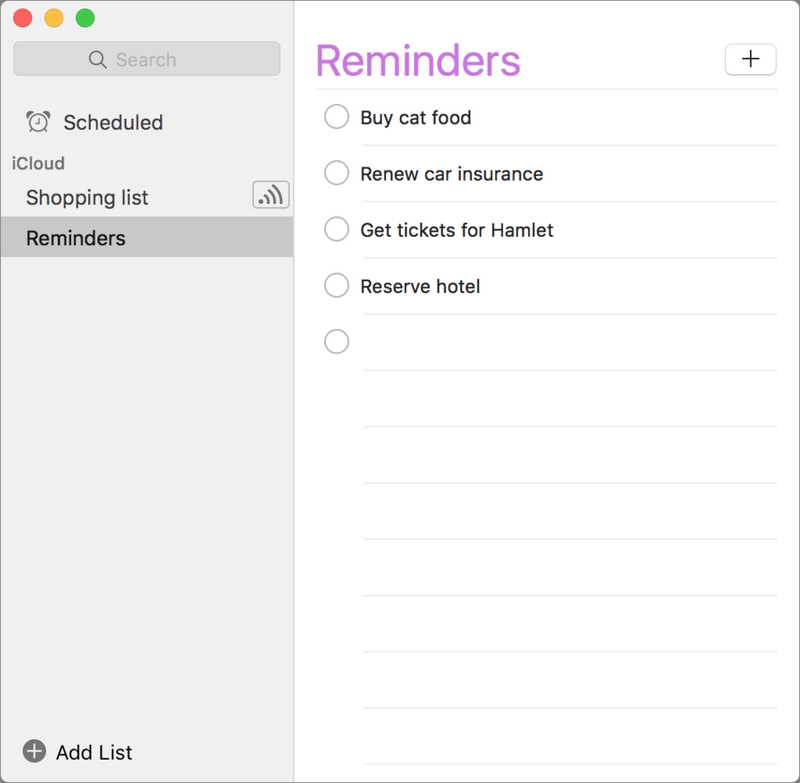 The OS X Reminders app does allow you to export a reminders list to an .ics file, designed to be imported into the Reminders app or a calendar app, but my partner doesn’t use a Mac, and you cannot export a reminders list on iOS. Here's a simple list of reminders. If I select the text, I can paste it into another document. At least that’s usable in any text editor or word processor, or even in an email. I suggested that my partner share the list with me, and then I would be able to extract the text, or export the .ics file, that she could have sent to others. Alas, she tried to share the list with me several times, but I never got a notification, and was unable to access her list. We have several other shared lists, and I was unable to figure out why this one wouldn’t share. Since you cannot, of course, select all the entries in a Reminders list in iOS, so there was truly no way for her to extract this data; you can’t even export an .ics file on an iOS device. In the end, my partner had to retype the list in an email message; it was faster to do that than to copy the text of each reminder, switch to Mail, and paste it. This highlights a serious problem with Apple’s data silos. There are times when you need your data in a different form, and it doesn’t seem much to ask to be able to export a list of reminders—which is just text—into a format that can be used in another document. Sure, my partner would have been better off with another app, but she doesn’t download many apps, and she didn’t think this would be a problem. If she’d asked me, I’d have recommended any of a number of tools, such as Evernote, Todoist, or even a simple text editor, that would have allowed her to copy the text, or even share it with others. Apple, don’t expect all your users to only collaborate with people who own iPhones and iPads. Let us get our data out of your apps. After all, it is our data; we should be able to do what we want with it.